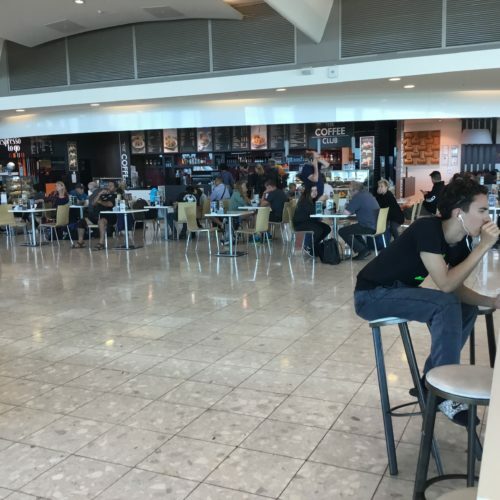 "a pitiful Coffee Club café"
✅ Trip Verified | Flying cattle class without the benefit of any lounge access (I still haven’t forgiven Air NZ for its split with Virgin Australia, but that’s another story). So, here we are awaiting boarding and all the airport has to offer airside is a pitiful Coffee Club café, one of the poorest choices to send off international visitors with a lasting memory of what was hopefully a great experience of the best that New Zealand has to offer. But no, they chose a cheap and cheerful import from Australia with minimal offerings and nothing that is fresh and green. To coin a phrase, so sad. Not Verified | Facilities and amenities of the airport were actually much better than expected and most of the ground staff we have met were great. Biggest complaint goes to immigration staff - who had conflicting information and communication. Each staff gave us different information, and led us to queue three times in three different queues. One staff in particular did not even bother to listen to our explanation before making us queue for the third time. Terrible first impressions to tourists when seeing New Zealand for the first time. ❎ Not Verified | This is by far the worst international airport I have landed in (and I’ve been to LAX multiple times). The queue at immigration took more than 45 minutes (there was one person on the counter) and then we get out to customs to be faced with another long queue! By the time I got out - it was more than an hour since we had landed. I was in the “all passports” line and clearly we were treated like second class citizens with only one employee having to deal with us. If I had a choice again - I would not choose to land at the Christchurch Airport. 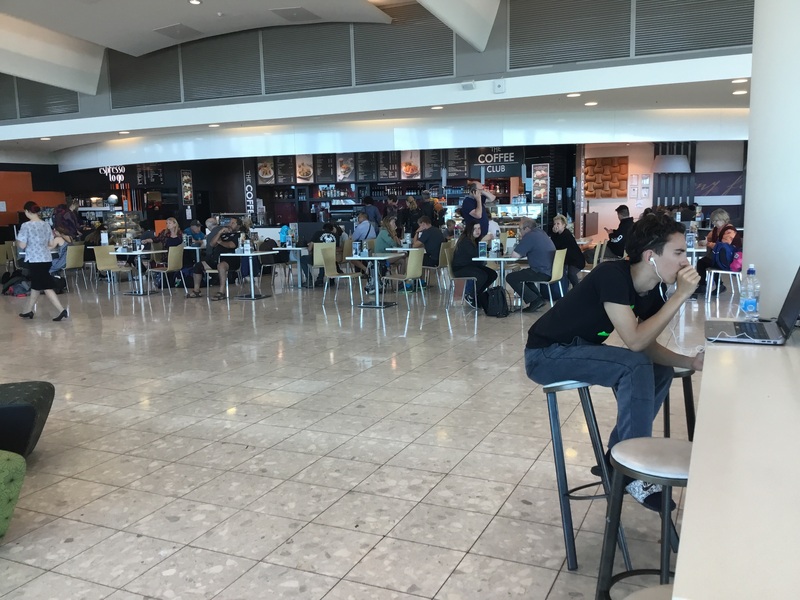 "desperate lack of seating throughout"
❎ Not Verified | This is an attractive airport with a nice variety of food and gift shops. My complaints are two: firstly when I arrived there were no signs to show where to go to get picked up so headed for the nearest obvious exit and wandered around in the rain trying to find signs to hwere the pick up area is. Another group coming to Christchurch said exactly the same thing when we met up later. The second is the desperate lack of seating throughout the airport and especially at the boarding gate where more people were sitting on the floor than in seats. I find this totally unacceptable for a major airport. ❎ Unverified | Christchurch is a nice and smooth-looking airport. Now they are adding a hotel. Security was good, and I had no problem getting my luggage after flying from Singapore. The airport is quite big - I'd recommend it. ❎ Unverified | Christchurch International airport is absolutely appalling. While the checkin area as adequate amenities and restaurants the departures lounge has only one restaurant which is very overpriced. Lack of food sources means that we had to wait over an hour for our food. Additionally there is a lack of power outlets and the wifi does not work on mobile devices. Avoid this airport if possible. Clean modern airport easy check in unfortunately our flight was very delayed and we were stuck airside for 6 hours. Facilities were very limited and there was only one outlet for the food and drink vouchers provided and limited shops. The Qantas lounge staff were guilty of conveying information about our delayed flight and the choice of food in the lounge was rather limited. Arrived on QF135 from Brisbane in afternoon. Only flight arriving at this time. From disembarking to walking out airport was 20 minutes. Departing on QF134 back to Brisbane, check-in smooth, international departures good for an airport this size. Used Qantas Manaia Lounge, it is quite dark. Good selection of drinks and food available. I went out into the departures area and found a nice comfy chair. Plenty of personal space in departures area. Immigration was all by SmartGate which made the airport experience more pleasant because it was quicker. Christchurch Airport is my favourite of all New Zealand airports. My only disappointment is being made to walk through duty free on arrival and departure. "slowest airport I travel through"
Absolutely awful experience. Four planes arrive at once causing huge congestion. The queue for Smartgate was enormously long. My wife's picture wasn't recognised causing a delay. My picture also wasn't recognised, so I had to join the queue of people being dealt with manually. 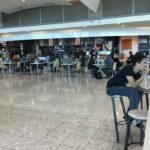 The worst airport experience of any I have had in NZ and Australia. They really should do better.